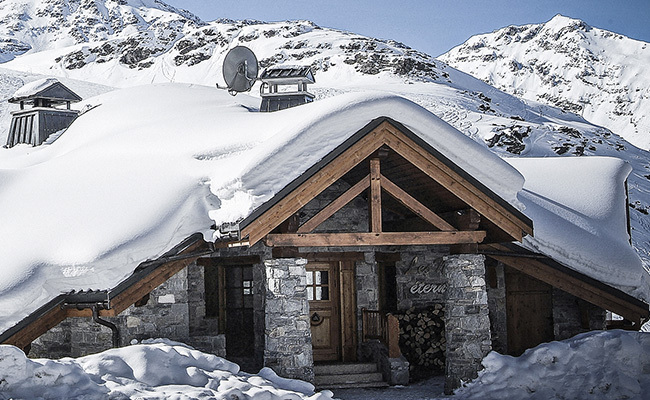 Eskiador : for your ski holidays in Val Thorens. Make the most out of your holiday with ESKIADOR! Do you enjoy a good adrenalin rush? Discover the highest ice-racing track in Europe. 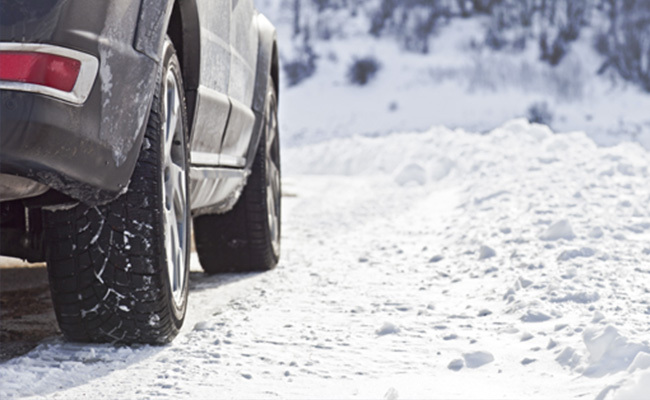 The Val Thorens Drivers’ School wants to initiate you to a number of new sensations. Steering, counter-steering, braking….all the techniques are tried under the watchful eye of a trained professional. 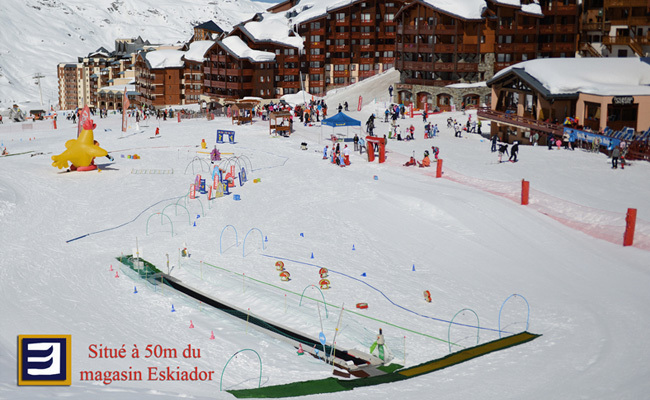 Situated 50M from the Eskiador shop you will find the kindergarten from the French Ski School & Prosneige. In a south facing area your child will make his first ski turns. 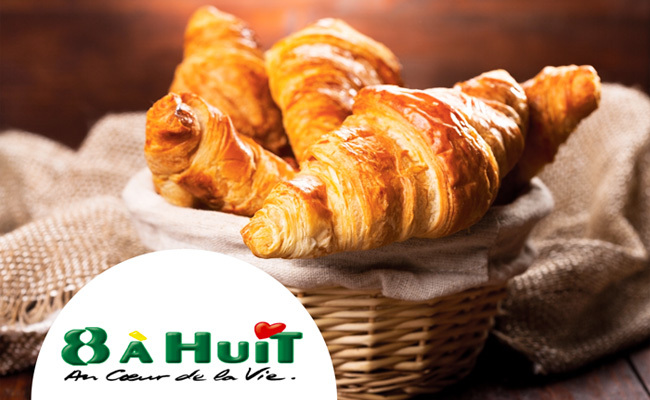 Rediscover your taste four crusty morning bread and butter croissants! Just in front of Eskiador Skishop, in the heart of Pierre&Vacances Center, Rue du Soleil, very near Montana, Cheval Blanc and Neiges Eternelles Residence, The 8 àHuit Supermarket ... probably one of the finest supermarket in the south district of Val Thorens. Eskiador Skishop is renting a new type of snowshoes to practice an activity that combines fun, sport and discovery... Would you like to try an activity that combines fun, sport and discovery ? Then snowshoeing is for you! Did you know that snowshoeing in the oldest snow sport in the world? Over 10,000 years ago, snowshoes allowed hunters to move around easily despite the thick layers of snow. 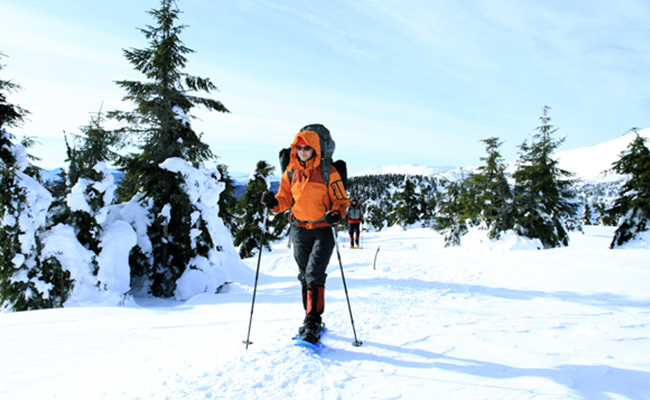 Today, snowshoeing has become a true sports and leisure activity. One major advantage is that everyone can enjoy it as it requires no technical knowledge or particular physical condition. What’s more, snowshoeing allows you to discover the stunning landscapes around the resort at your own pace. The Eskiador Skishop team highly recommend the Val Thorens Snowpark. 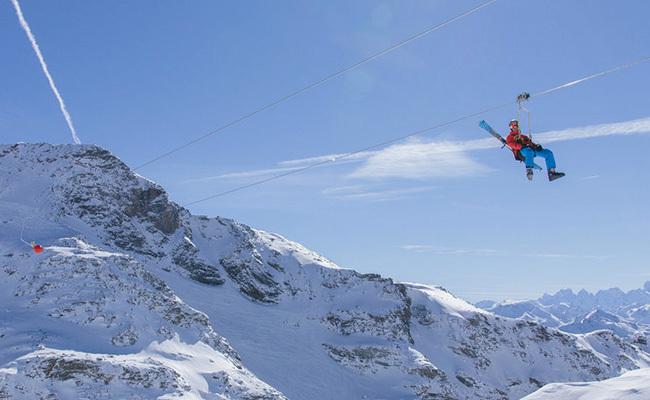 While skiing on the 3 Vallées area, come discover the Val Thorens Snowpark. 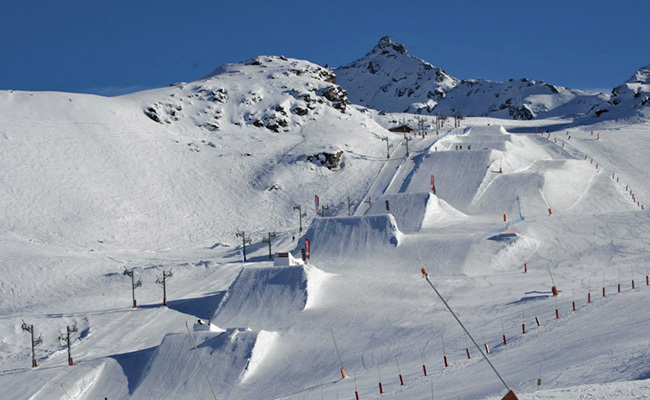 Located on the Plateaux sector, it offers to both skiers and snowboarders, the possibility to evolve, progress and improve on a freestyle course fitted to any level. On about 70 000m², the Snowpark is made of tables (jumps), rails and boxes (sliding units) of different sizes. You will also find other modules a bit more unusual such as hips-quarter or the Jump’ Air (shock absorbing stunt man’s mattress) which will allow you to try acrobatic figures in complete safety! You can also attend and even enrol to several contests (freestyle competitions) organised during the winter season. Attractively built using traditional wood and stone, Les Neiges Eternelles houses three large ski apartments. Each one has four en-suite bedrooms and sleeps up to 8 people with magnificent views of the Cime Caron. A glide over 1300 m… 2 minutes of pure pleasure in breathtaking surroundings, from the 3 Valleys peak at 3230 m from the Bouchet chairlift in the Orelle resort, over to the Val Thorens crest, at 3000 m, at the top of the Thorens Funitel. Access is reserved to skiers by the Bouchet chairlift, in the Orelle resort. The glide costs 50 €, and tickets are purchased on-site. Please note that there are a limited number of places. At 2600 m up, the Folie Douce is the highest dance club in Europe. 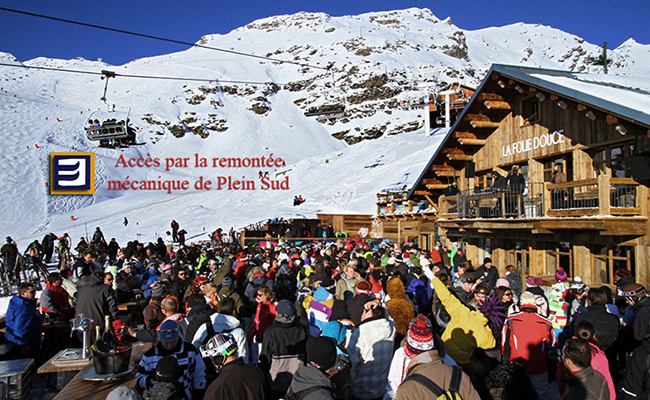 At the arrival of the Plein Sud chairlift, the highest outdoor dance floor is ideally located. Exposed south, the sun is part of the fun until closing, and the huge terrace offers one of the best views of the domain.